This is lovely Pat. Such a sweet image (beautifully coloured) and that ribbon you have used for the bow is gorgeous. Gorgeous card Pat, love the sweet image. This is gorgeous Pat, I love the cute image and pretty colours. 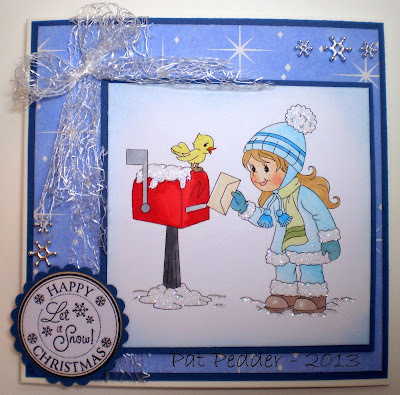 I love the cute image and the vibrant colours on your card, Pat. The bow makes it all look so "icy". Beautifully done Pat. Love the ribbon it works perfectly with the wintery feel of the card. For me!!!??? Love that bow. Really cute Pat! Beautiful card Pat, I love that adorable image and pretty bow. This is absolutely adorable and such a lovely depiction of Christmas the image is a beauty. This is super sweet! Love the image and your coloring is so cute! 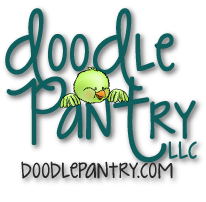 Thank you so much for playing along with us at Crafty Sentiments Designs this week! We hope that you will play along with us again soon! Good Luck in the Draw!